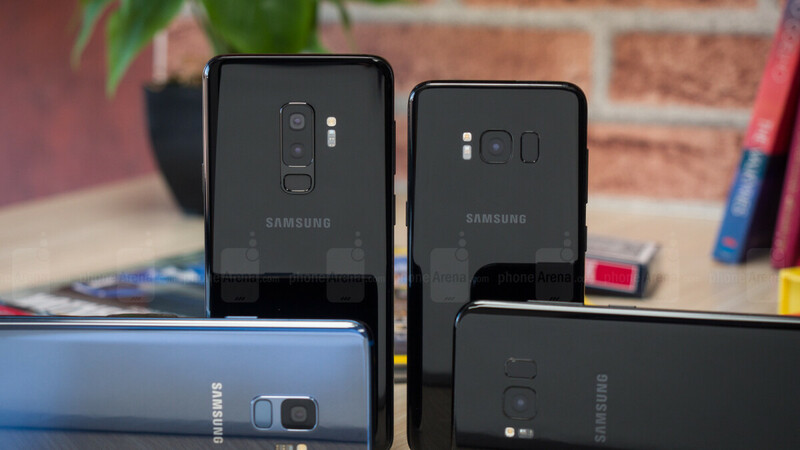 Retail prices for high-end phones from the big three brands in the US - Apple, Samsung and LG - have been steadily rising from the very beginning of the race when the OG iPhone was introduced to our unsuspecting wallets. That one was $500 at launch, but now the iPhone 8 starts at $700, and you are left with a dollar. The first Samsung Galaxy was also priced $500, while the Galaxy S9 blasts off at $720. When we add expensive but popular "$1k phone" outliers like the Note 8 or iPhone X, we can easily explain the record average phone pricing increase registered last year. At the same time, carriers are boosting data plan prices as if there is no tomorrow. For a while, T-Mobile sacrificed profits for relentless market share expansion, but its pricing is now only marginally better than what the big two are offering. Disguised as top-tier plans with extra perks are lines that approach the $100/month threshold, and at the same time carriers did away with the two-year subsidy model, giving consumers the choice to pay their phones on installments for the duration. Thus, wireless customers in the US are reacting to this triple whammy of rising phone and plan prices, plus the lack of subsidies, with the only logical action. They've simply stopped getting new phones as often as they used to. Tucked in a recent Labor Department report for the month of June was the consumer-price index for wireless phone service, which was up for the first time since July 2016, indicating that cell phone service is becoming more expensive, and the price wars are over. The result? Well, updated research from NPD Connected Intelligence marks a boost in cell phone ownership duration in America to 32 months. Considering that just a year ago that number was 25 months on average, the difference is eye-popping. If it goes on like that, we will soon be holding onto our smartphones for three years instead of two, with all the implications for sales and profits in the industry. The continuous improvement of device build quality and components, coupled with higher price tags, has motivated consumers to hold on to their smartphones for longer periods than in the past. However, with the debut of 5G networks in the coming years, OEMs and mobile operators will have the opportunity to educate consumers on the benefits of 5G services and convince them to upgrade to devices boasting a 5G chipset. This 4G to 5G migration will ultimately result in the acceleration of the device upgrade cycle. I feel like my S8+ can hang if I don't upgrade it to android P. I'm not falling for that trap. Stop buying high end and go mid range. Don't bother with a contact and go sim only buy the phone out right. Mid range not a high end. everything increases just to make the shareholders even richer... that income graph must always go up.... more more more $$$$$$ enough money is never enough. Regular cell phone plans have indeed gone up compared to what you get. I remember being on AT&T when they introduced the new unlimited family plans which cost $160 (which turns into $180 after taxes and fees) and limited you to 3 Mbps. However, prepaid plans are competing so well right now that you can easily get a 4 line plan for $100 with unlimited data and are actually faster than that same AT&T plan. The problem? No subsidization or monthly plans for new phones. And on top of that, retailers aren’t offering monthly plans to purchase phones either. So you have to buy outright or somehow find a place that lets you take out credit to pay over time. I can remember several years back when carriers started offering "no contract plans" with no phone subsidies. Phonearena had a plethora of articles about how this will be so good for the consumer. Without being locked into a contract they'll be able to switch carriers at a moment's notice. My thought at the time and proven over and over as time goes on... you still have to pay off the phone. They just shifted the contract from the plan to the phone. In the long run the consumer will pay more. Who couldn't see the writing on the wall? It was so obvious. That's an interesting point. Rather than it causing savings, it just transferred the costs to another part of the system. And I'm sure that hides the cost from some people, so they bite and don't even notice it didn't save them anything. In terms of straight up cost, I will say some providers at least offer the phone at regular price with no interest or up-cost. Could you find the same phone for less somewhere else, probably yes, but some people just don't want to mess with it. Personally, I would rather buy a phone outright, and not have to deal with monthly payments. But in our debt-filled world, I'm probably in the minority. I am loving my $15 per month plan from Mint Mobile---unlimited text, talk, and 2 Gb per month. Have had this plan for one year in 8/18 and will renew plan with same cost again for another year. No problems of any kind with this carrier.